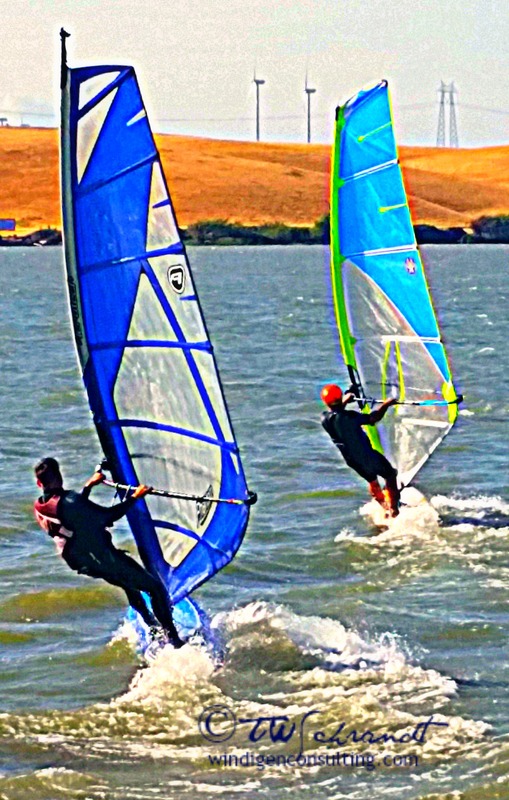 There is nothing like a brand new windsurf sail (on the right) to help create vivid memories between two best friends. Always love your wind surfing images. Looks refreshing and fun. I don’t know if I have enough upper body strength to right one of those things (we have electric winches on the boat) but I would like to give it a try. Someday. Thank you Lisa! The women finesse it more than use strength. It’s a workout for sure! That looks like so much fun! We just moved two blocks from a lake and I am dying to find someone with a sailboat!. We want to learn to sail our own boat eventually. Have fun! Jealous that you are two blocks away from a lake!! If you can’t find a boat, maybe try stand-up paddling!